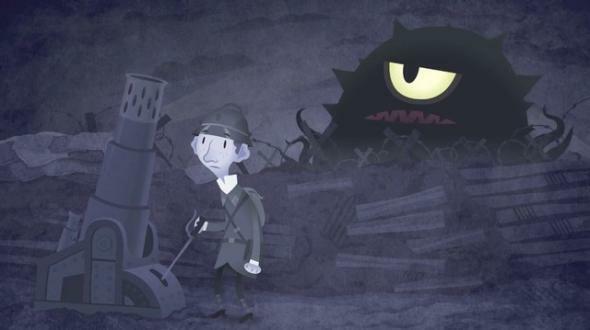 Kafka video game from Denis Galanin is promising. Here are a few tips. I haven’t played a video game since my little brother creamed me at Duck Hunt in 1988. However, when the Franz Kafka Videogame launches on a platform near me later this year, I’ll be among the most eager to bask in its haunting graphics, and to fail abysmally at the “original logic puzzles” teased by its creator, the Russian developer Denis Galanin (aka mif2000), best known for his take on Hamlet. Sounds about right, yes? Maybe. What Kafka’s popular image obscures is that the real punch line of his works is not the fantastical, but the mundane. In The Trial, Josef K. gets arrested for no reason, but he doesn’t get thrown in a cell, waterboarded, and convicted. He goes back to work, and then spends the rest of his life wrestling with a bureaucracy that is vast, staggeringly incompetent—and boring. The primary story of The Metamorphosis is not actually that Gregor Samsa is a giant and disgusting bug-creature, it’s that his family is really, really bad at managing their finances. The centerpiece of In The Penal Colony, a massive and intricate torture machine, isn’t “remarkable” simply for its gory details—it’s remarkable because its inventor was a fool who wrote in gibberish, and it doesn’t actually work. The great thing about Kafka isn’t just his fantasticality. It’s that this fantasticality is a distraction from the main story. So, while I plan to make the Kafka game the primary activity of my 2014 commutes, I do have some “notes” for its final stage of development. How about a door that you just can’t enter … ever? Every time you get to it, a doorkeeper suggests you go find a certain treasure to bribe him with—a gold boomerang or whatever, Legend of Zelda-style. But every time you go to unlock the door—with the very treasure created specifically to unlock this very door—the guy just says, “Maybe later.” You “win” this game when your character eventually gets old and dies—or when you do.